Here at Noah’s Ark we are committed to protecting our local environment and future-proofing the park to reduce our carbon impact as well as teaching the next generation how to care for the natural world and become more sustainable. We are the proud winners of multiple awards for our sustianable efforts. We generate our own energy - Noah’s Ark is dedicated to generating as much of our own energy as possible, almost half of our energy comes from renewable resources, using a wind turbine, biomass boilers and solar panels. We use energy efficient light bubls - Our on-site electricians have been able to replace almost all inefficient light fittings with new LED light fittings and energy efficient bulbs. These lights are reducing our environmental impact and energy consumption. We use recycled enrichment - Our keepers are always looking for innovative ways to enrich the lives of all our animals. They often use waste products from local businesses, reducing both our environmental footprint as well as supporting local business in costs of disposing of waste. Sustainable enrichment has included using Christmas trees from local garden centres, coffee sacks, and empty carpet tubes. We help local businesses recycle - We accept donations from local businesses of fruit, vegetables and meat from a number of local suppliers which can be fed to our animals or staff. We recycle - Approximately 95% of waste on site is recycled, our aim is to limit the amount of waste sent to landfill. We recycle water - Noah’s Ark uses rainwater harvesting for several exhibits on site. The rainwater is collected from the roofs of the animal enclosures into underground reservoirs and pumped into pools and streams in the enclosures. Surplus rainwater is passed through our recycling system and used around the rest of the zoo. We use compostable packaging - Our café uses compostable, plant-based packaging for our hot drinks and take away food and significantly reduced the use of plastic straws. Education is important to us - We have a dedicated education team who work with local schools teaching them about animals and conservation in workshops. We run regular educational events and have a free nature trail around the zoo. We fundraise - We run regular conservation events throughout the year focusing on educating visitors and fundraising for some amazing conservation charities. We give exclusive discounts - To incentivise visitors to bring their own reusable hot drinks cups we offer an exclusive discount per hot drink when you bring your cup! Noah's Ark Zoo Farm supports a number of conservation and green campaigns to help educate the public and funraise for conservation charities. Every year BIAZA organises a BioBlitz event which encourages individuals to get hands-on in wildlife surveying and monitoring. Here at Noah's Ark visitors take part in pond dipping and bird and bug surveying in our conservation area. Any information on the wildlife found is collated together to aid native wildlife surveys. Every year Noah's Ark takes part in the big annual events to support the species we have here and their conservation efforts. Keep an eye on our What's On page for the latest updates on our upcoming events. The animal keepers at Noah’s Ark are hugely passionate about conservation and have built strong relationships with wildlife charities, which we fundraise for throughout the year. For example in 2017 we held a week long African Carnival event for Africa Week encompassing World Elephant Day and World Lion Day. During the week we raised £907 to support the charities. In addition to our own fundraising events, Noah’s Ark supports large numbers of community led fundraising events. In 2017 alone the zoo proudly donated over 500 tickets to local school, community and charity groups. You can help at home! The UK alone produces more than 170m tonnes of waste every year, much of it food packaging. You could power a 60 watt lightbulb for 3 hours with the energy saved by recyclign 1 plastic bottle. It takes the same amount of energy to make 20 recycled aluminium cans as 1 new can. 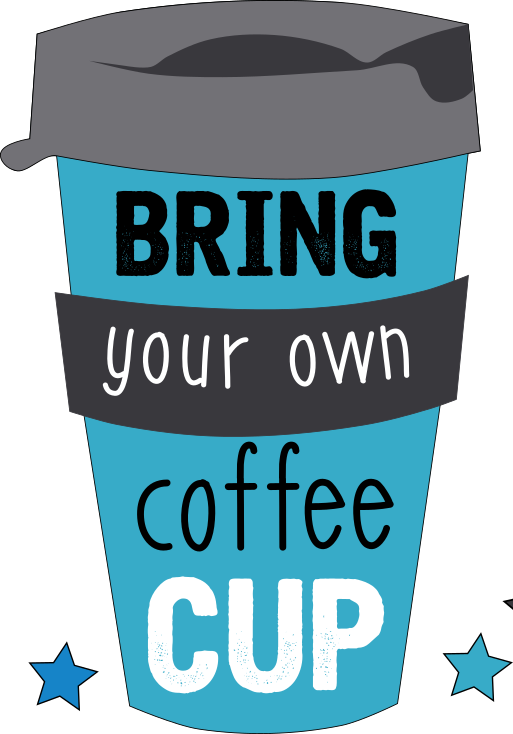 7 million coffee cups are thrown away every day in the UK (most of which are not recyclable). Plastic bags can take over 1000 years to decomposein landfill. In the oceans plastics just break down into smaller microplastics which get eaten by marine animals and work their way up the food chain to eventually be eaten by us, and no one wants to eat plastics. But it's not all bad news, going Green is easier than you think. We've come up with a short list of everyday things you can do to help the planet. Reduce, Reuse, Recycle. We've all heard this one, but it is so important. Current UK recycling is estimated to save more than 18 million tonnes of C02 a year – the equivalent to taking 5 million cars off the road. But there are still over 1,500 landfill sites in the UK and so there's definetely more to be recycled. Ditch the car. Try leaving your car at home, instead why not walk or cycle to the shops or if they're a bit further away why not take the bus. If you can stay off the road for just two days a week, you could reduce greenhouse gas emissions by an average of 1,590 pounds (721 kilograms) per year. You get the added benefits of saving money on petrol too, and maybe a bit of fresh air and excersize too. Reduce single use plastic. The world is currently producing nearly 300 million tons of plastic each year - a significant amount of which will end up in the oceans. Think twice about whether or not you need that straw in your drink and don't forget to reuse your shopping bags and take your reusable coffee cup with you. Did you know we offer a discount on hot drinks when you bring your own? Compost. You don't have to have a garden for this one your local council can easily provide you with a free food wate bin. Food waste won't break down in landfill as the conditions are not right and it can stay in landfill for years. Composting the food waste means reducing the waste and providing valuable fertiliser to go back into the cycle. Turn it off. Turn off your taps and lights when they're not needed. Every time you remember to reduce your consumption give yourself a green high five.